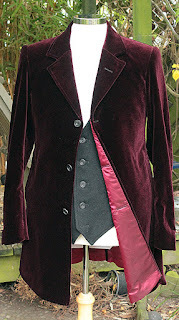 Making my 12th doctor costume: Series 10 filming: it’s alright for some! 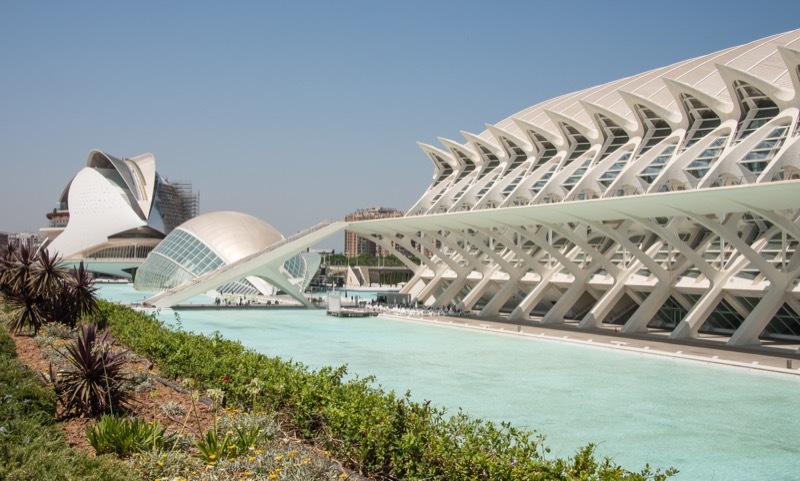 The Doctor Who crew are out on location again - this time it looks like they are in Valencia in Spain! They kept that quiet - until now. From the press release the BBC have issued, they are filming at the City of Arts & Science Museum for what will for episode two of the next series. It looks to be a VERY striking building - very futuristic and worth a look. 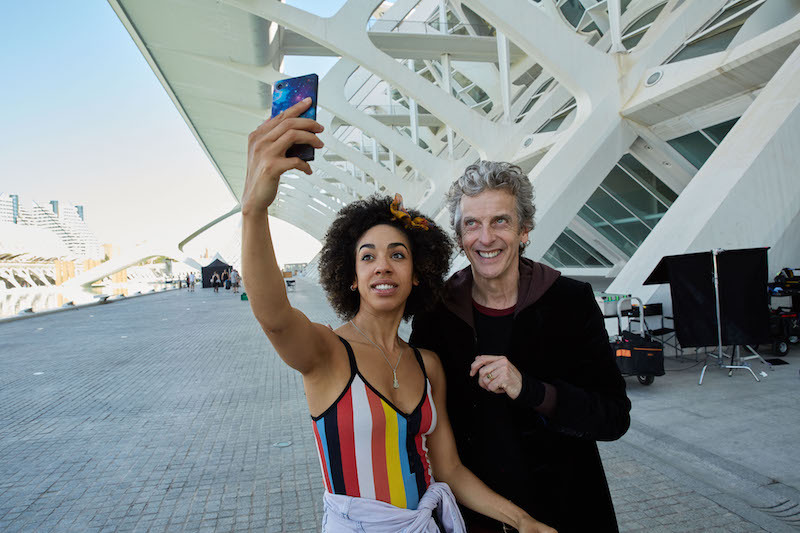 The release includes a photo of the lead stars - taking a selfie outside the museum! So, what clues can we green from Peter’s latest costume combination? 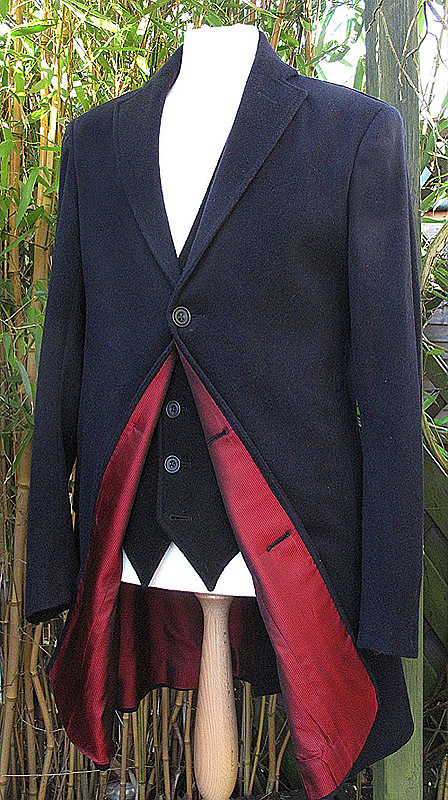 Well, he is wearing the new VELVET FROCK COAT with blue lining. Under this is another new HOODIE TOP, this time in a burgundy colour. 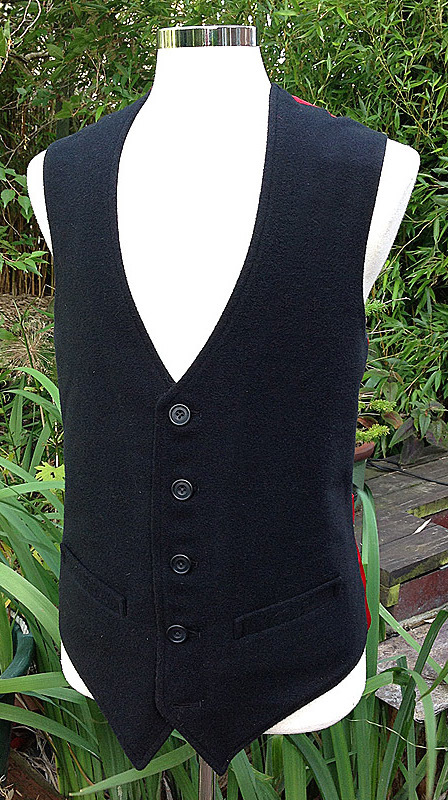 Below that is some form of BLACK JUMPER. And under that what looks like a new deep red coloured T-SHIRT. It’s hard to keep up with all these new casual hoodies and t-shirts!